Have you ever thought about being more aware of what you eat? If you’ve ever tried a diet or fasted, then you for sure have. If you get sugar highs and lows, then you know how easy it is to measure the effect of food on your body after you consume it. If you knew something more about your food and the subtle impact it has on you because of the vibration it carries, would you care? I’m a vegetarian, and it is very important in my spiritual path to be vegetarian. My Guru Paramahamsa Vishwananda actively promotes vegetarianism. Despite that, I never ever thought that I’d care about such things like what my food had been through before I was ingesting it into my body. And then… I watched Earthlings (<– Disclaimer: this might be disturbing to a lot of people, so don’t click if you don’t want to watch it). Yes, it’s called the “vegan-maker”, but I’ll be honest, that movie wasn’t what made me want to give up dairy. If you’ve watched it, then please don’t think I’m heartless for that! Then on a rainy Sunday at home in Toronto, I was having a Netflix and chill kinda day, browsing through the documentaries on Netflix and stumbled upon Cowspiracy. It’s an environmental movie, and I didn’t expect it to have a lot of vegetarian type of messaging in it. I was surprised as I watched it because the documentary presents some straight up facts and figures around the impact industrial farming has on the environment. So now I’m making a better effort to be dairy-free. Trying out this vegan cheese is a step towards that. Back in 2012, before I started my spiritual journey, I was at the Mind, Body, Spirit festival in London, with my friend Jenny. As we were browsing around the tradeshow floor, we walked by a stall that was selling vegan cheese. I remember thinking that it was the weirdest thing ever. Who would have thought that four years later, I would be freaking out about it in excitement? Oh, life, and its irony. Giving up dairy is easy because soy milk, almond milk or coconut milk make it easy to stop drinking milk in your cereal and coffee. But what about dairy products like butter, cheese, and yogurt? After a few weeks going dairy free, trust me, you start to really miss cheese. 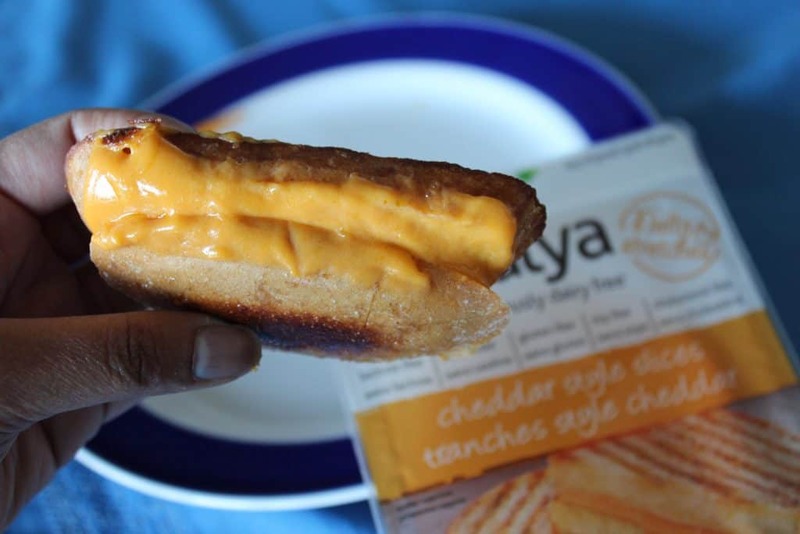 That’s why when I was at a health food store and saw vegan cheese that actually melts so that I could have a grilled cheese again, (hallelujah!) I couldn’t resist buying it. 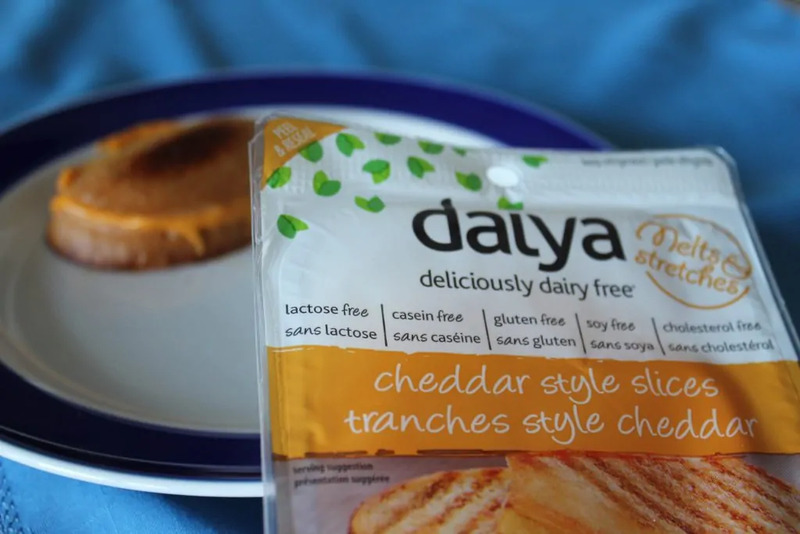 Daiya cheddar style cheese smells a lot like real cheddar when you open the package. It even tastes a lot like real cheese when you eat it right out of the package. There is an aftertaste similar to what you get after eating Cheetos. The real question was, however, will it really melt like real cheddar? And, success! The vegan cheese melts! You won’t believe how happy I was when I discovered the cheese melts. The little joys. But, there was still another question. How would it taste? Another success! It tastes good! There’s still that Cheetos aftertaste but I was never opposed to Cheetos, so that was a non-issue. OK, let me tell you the real reason why I’m so excited about such a little things as vegan cheese that melts. 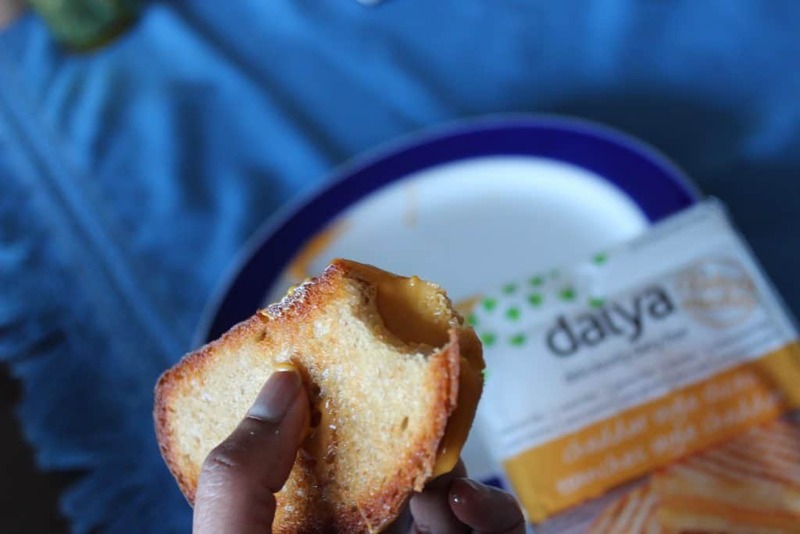 There are a few things that vegan cheese taught me about spirituality. I am willing to practice self-restraint when it comes to avoiding dairy but I still will allow myself to indulge in a greasy cheesy treat now and again. I shouldn’t judge someone based on their diet and eating habits because, in four years time, I could be in their exact shoes. It is so important to seek out and join up with others (people, organizations, and brands) that stand for the same beliefs as you because otherwise, it’s just too lonely. 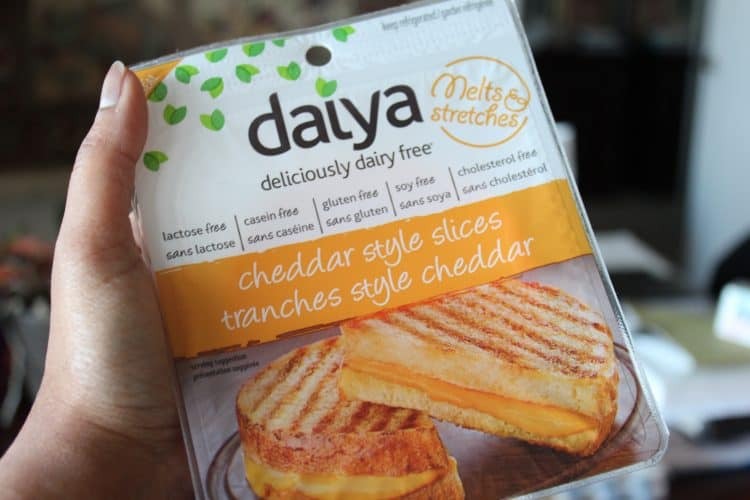 So, thank you Daiya, and thank you vegan grilled cheese sandwich. You help to make my journey and my learning that much more delicious.